Utilizing superb technologies can mean nothing unless there are great people behind them. Here in Kinarya Rumah Kita, there's a bunch of talent that will get you just what you need. 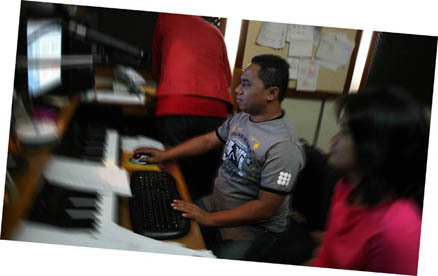 Kinarya Rumah Kita provides custom music services such as jingles, movie scoring, background music, etc. through the talents of Ari Darmawan Somantri, an accomplished composer, arranger and former of Halmahera band. 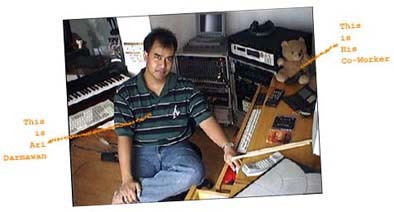 He is well-known for his production credits with artists like Glazz, Netta KD, Chaseiro Retro2 , Deasy Natalina , Natasha Pramudita , Julian Ismail , Elfa's Singers , Kiki Juliar , B-Duo , Uci Nurul , Male Voice, Vina Panduwinata, Yuni Shara, Rida Sita Dewi trio, Molucas, Andre Hehanusa and many more. He goes on to work in every corner of the media music industry from feature film to computer games, commercials and animation. His ad music has been heard on numerous advertising campaigns for BaSho(Bagito Show 1991), Clear Top 10, Sharp, Honda, Hemaviton, GE MasterCard, Bank BNI, Garda Oto, Telkom Net Instant, Sarung Cap Mangga, TPI, TV7, Nokia, Fox, Sari Mie and he has done hundreds of commercials. Banks, cosmetics, foods, home appliances, telecommunication, Medicines, and many more. Visit Ari Darmawan Somantri's profile on Pinterest. 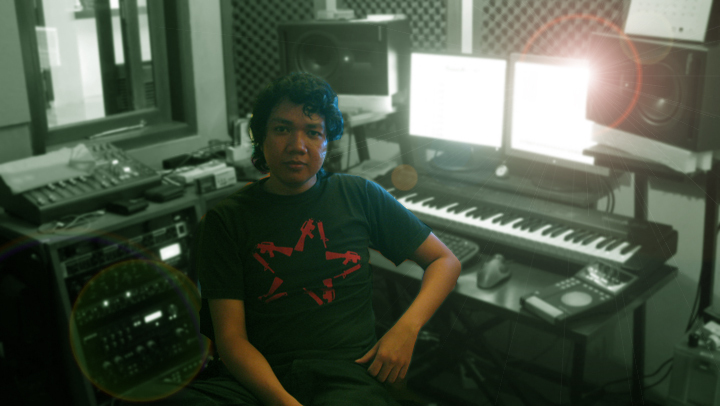 Mixing engineer, His work wellknown as B-Duo, Uci Nurul, Konspirasi and many more. 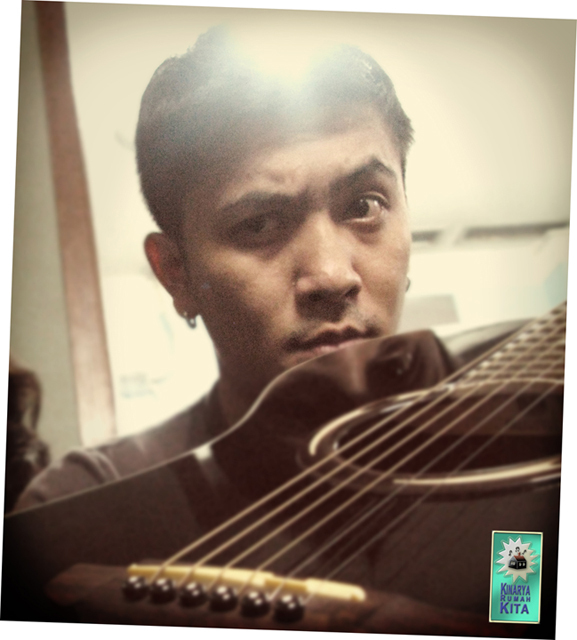 Guitarist of @The_Crackers, up coming band "MayDay" & some commercial Jingle.